Farrar, Straus and Giroux, 9780374280512, 368pp. Philip Roth is one of the most renowned writers of our time. From his debut, "Goodbye, Columbus," which won the National Book Award in 1960, and the explosion of "Portnoy's Complaint "in 1969 to his haunting reimagining of Anne Frank's story in "The Ghost Writer "ten years later and the series of masterworks starting in the mid-eighties "The Counterlife," "Patrimony," "Operation Shylock," "Sabbath's Theater," "American Pastoral," "The Human" "Stain" Roth has produced some of the great American literature of the modern era. And yet there has been no major critical work about him until now. Here, at last, is the story of Roth's creative life. 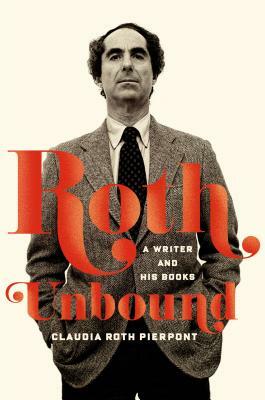 "Roth Unbound "is not a biography though it contains a wealth of previously undisclosed biographical details and unpublished material but something ultimately more rewarding: the exploration of a great writer through his art. Claudia Roth Pierpont, a staff writer for "The New Yorker," has known Roth for nearly a decade. Her carefully researched and gracefully written account is filled with remarks from Roth himself, drawn from their ongoing conversations. Here are insights and anecdotes that will change the way many readers perceive this most controversial and galvanizing writer: a young and unhappily married Roth struggling to write; a wildly successful Roth, after the uproar over "Portnoy," working to help writers from Eastern Europe and to get their books known in the West; Roth responding to the early, Jewish and the later, feminist attacks on his work. Here are Roth's family, his inspirations, his critics, the full range of his fiction, and his friendships with such figures as Saul Bellow and John Updike. Here is Roth at work and at play. "Roth Unbound" is a major achievement a highly readable story that helps us make sense of one of the most vital literary careers of the twentieth and twenty-first centuries. Claudia Roth Pierpont is a staff writer for The New Yorker, where she has written about the arts for more than twenty years. The subjects of her articles have ranged from James Baldwin to Katharine Hepburn, from Machiavelli to Mae West. A collection of Pierpont's essays on women writers, Passionate Minds: Women Rewriting the World, was published in 2000 and was nominated for a National Book Critics Circle Award. Pierpont has been the recipient of a Whiting Writers' Award, a Guggenheim Fellowship, and a fellowship at the Cullman Center for Scholars and Writers of the New York Public Library. She has a PhD in Italian Renaissance art history from New York University. She lives in New York City.